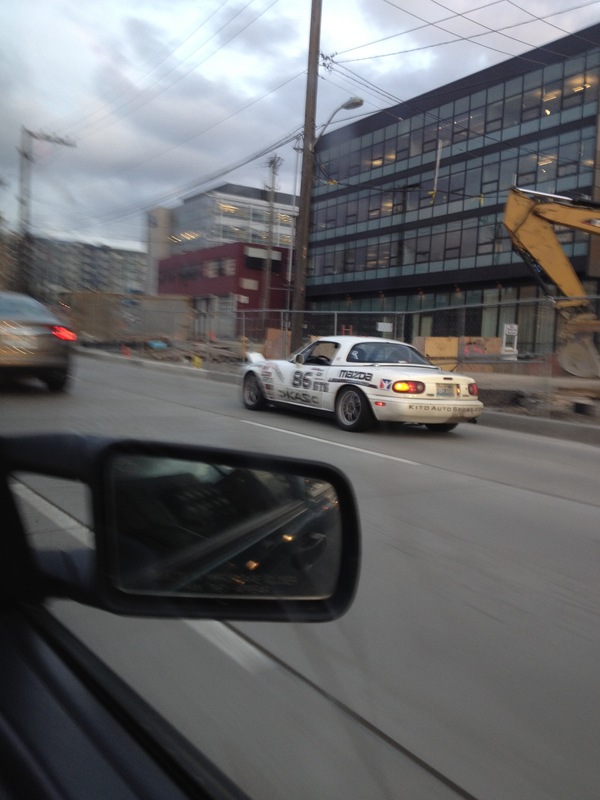 On the way home from work tonight I spotted the StartingGrid kahuna squirting through traffic. Small world! This entry was posted in Photography I like and tagged Kyoko, Miata!, Project Kyoko, You see the most interesting things on Mercer Street. Bookmark the permalink.